Rockland Community College is fortunate to have a chapter (Alpha Phi Sigma) of Phi Theta Kappa International Honor Society. PTK is the largest international honor society for two-year colleges in the world. The purpose of Phi Theta Kappa is to recognize and encourage scholarship among two-year college students. To achieve this purpose, Phi Theta Kappa provides opportunity for the development of leadership and service, for an intellectual climate for exchange of ideas and ideals, for lively fellowship for scholars, and for stimulation of interest in continuing academic excellence. PTK’s mission is two-fold: to recognize and encourage the academic achievement of two-year college students; and to provide opportunities for individual growth and development through participation in honors, leadership, service and fellowship programming. Each year, Phi Theta Kappa International and USA Today honor outstanding students from community colleges all across America. Each state’s community colleges nominate outstanding students for membership in the states USA Today Phi Theta Kappa All-New York Academic Teams. The teams include students from The State University of New York (SUNY), and The City University of New York (CUNY). The students receive their honors at a luncheon hosted by the New York Community College Association of Presidents (NYCCAP) at the State Museum of New York in Albany in March. This event provides college administrators their greatest reward, the opportunity to nominate two students for inclusion in the USA Today Phi Theta Kappa All-New York Academic Teams. RCC is proud of this year’s team. Emma is planning to pursue a bachelor’s degree in Political Science. 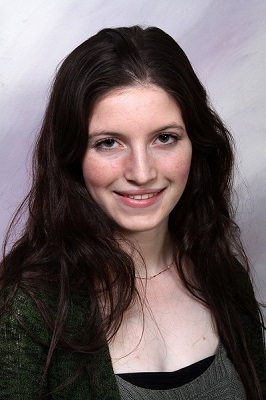 She intends to become a lawyer and aims to work on behalf of environmental organizations. She currently serves as student representative to the RCC Board of Trustees and president of the Speech and Debate Team. 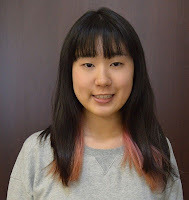 Rika is seeking to pursue her bachelor’s in Economics and master's in Business. At RCC, she has been involved in many campus activities such as the Student Government Association and student volunteer program. She is also passionate about singing and created the Glee Club with other students.